1. We have two warehouses in the world now. Chinese warehouse and Russian warehouse. The Russian warehouse is only for Russia. If the product you ordered is out of stock in our Russian warehouse, we will ship it to you from China, and we will pay for the postage if this situation happens. 2. It will take about 1-7 days for our reparing your goods after we receive your payment. Delivery time is about 3-15 days from Russian warehouse, 15-35 days from Chinese warehouse, even longer if a peak shopping season. 3. After we ship out the goods, the tracking information will show up in 2-5 days. if you haven’t received the goods and the delivery date is going to end, please contact us to extend the delivery date for you. 1. If the goods arrives at your place, and you don’t go to pick up it in time so that it returns to us. After we receive the goods, we will return the money or resend it to you based on your demand. El producto fue acorde a lo esperado, llegó muy bien embalado y en excelentes condiciones. Gracias. Very nice. Buying second time from this store. Both item and packaging are great. 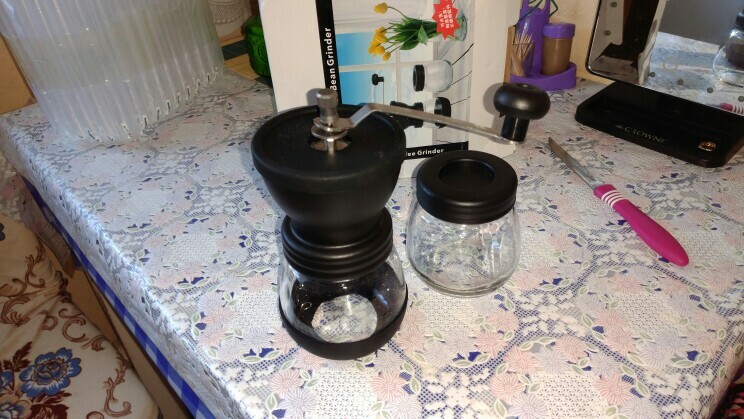 Moinho fácil de utilizar, tem regulagem​ da espessura do pó de café! Excelente! Very good item. 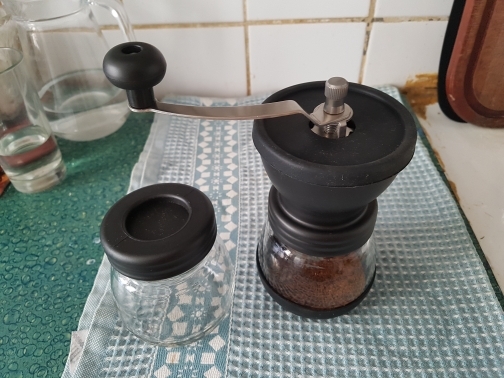 Can grind coffee very fine. Very fast delivery. Packaging is also good. Can recommend both item and store. Nicely made product. Haven't used it yet but looks like it will do the job. Die Lieferung kam sehr schnell. Die Ware war unbeschädigt, obwohl die Verpackung nicht stabil war. Silicon base comes off on occasion but apart from that is good, bigger than I expected! брали на подарок, пришло за месяц, трек отслеживался, упаковано хорошо, все в целости, не использовали в работе, отзыв будет дополнен. Все пошло целое. Быстро и просто круто.